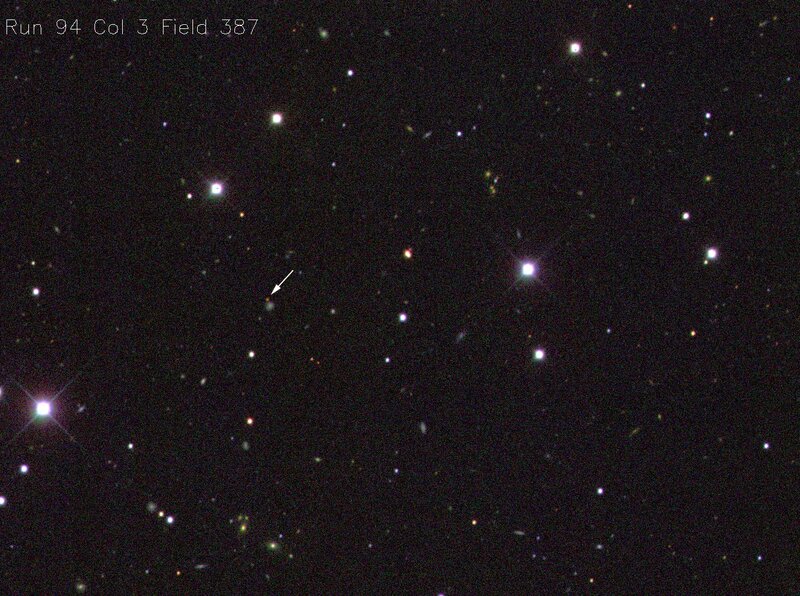 Explanation: Each red speck indicated above is a powerful quasar estimated to be over 100 times brighter than a galaxy. 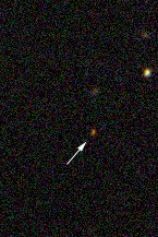 Yet in these Sloan Digital Sky Survey discovery images the quasars appear faint because they are extremely distant. Their distances have been indirectly gauged by noting how much the light they emit has been stretched to longer wavelengths by the expansion of the Universe. 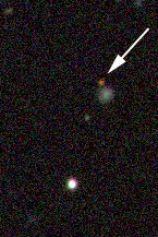 Because red light has the longest wavelengths in the visible spectrum, this stretch has come to be called "redshift" - the greater the distance, the greater the redshift. 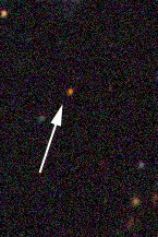 Astronomers use a number known as "Z" to quantify this cosmological redshift and the quasar at the left, with a Z of 5, was just proclaimed the new quasar redshift champion (from left to right the measured Zs are 5.00, 4.90, 4.75). 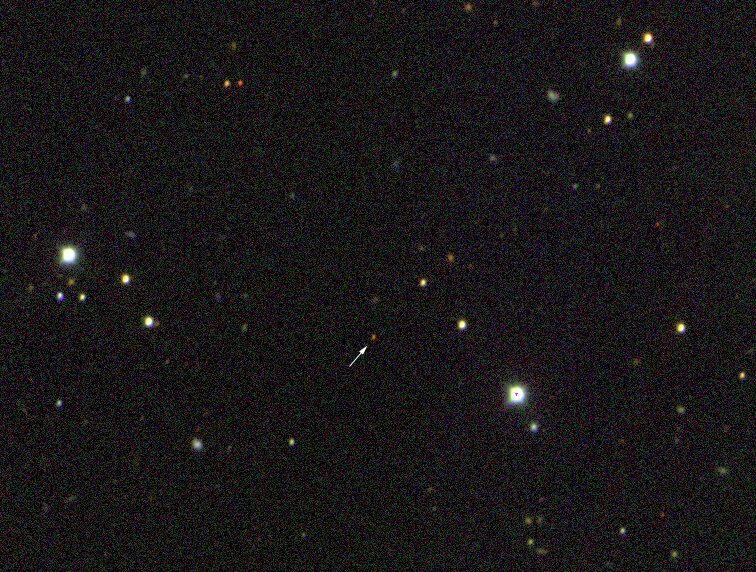 What's the actual distance to quasars with Zs of 5 or so? 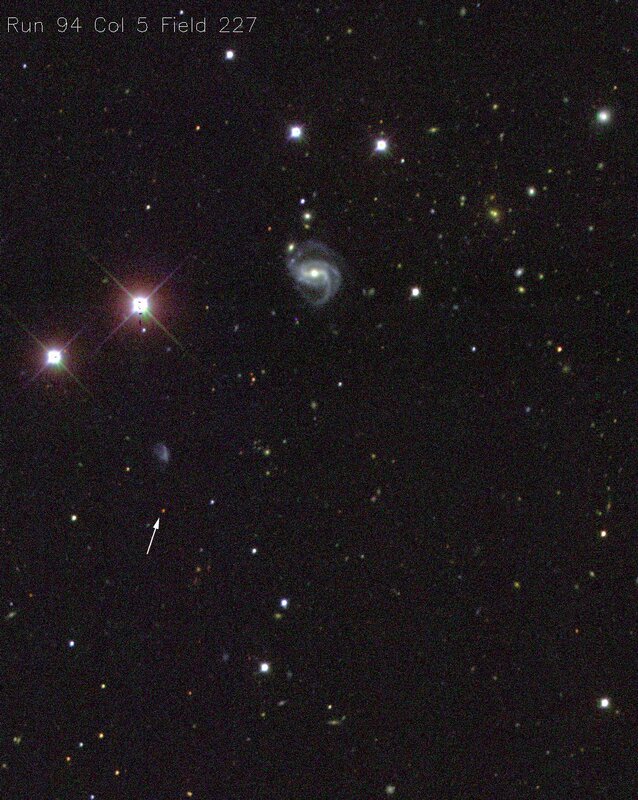 ... about 15 billion light-years, give or take a few billion light-years depending on your favorite cosmology!